Seton's Bilingual Danger Lock Out Tags are backed by our 100% Satisfaction Guarantee! 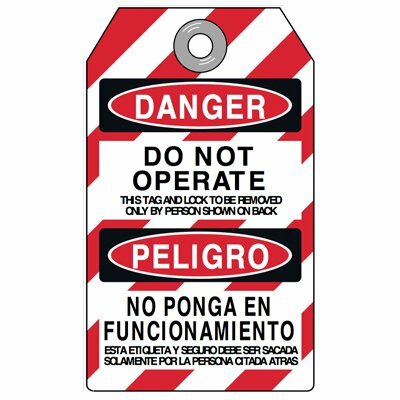 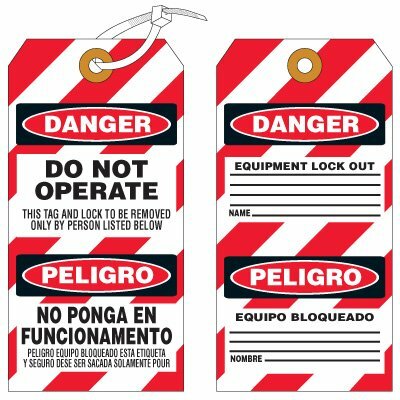 Select from a wide variety of Bilingual Danger Lock Out Tags at competitive prices. 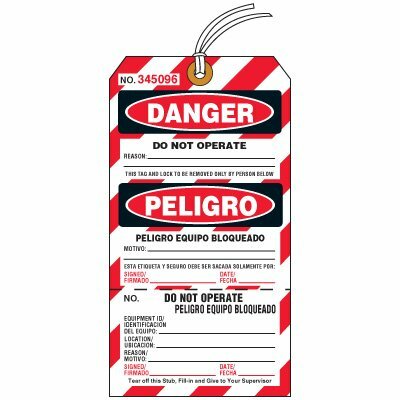 Plus most of our top-quality Bilingual Danger Lock Out Tags are in stock and ready to ship today. 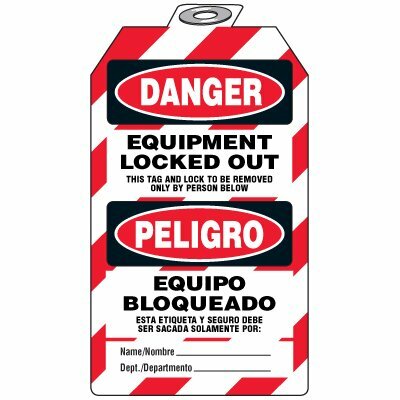 Bilingual do not operate lockout tags ensure all employees understand your message. 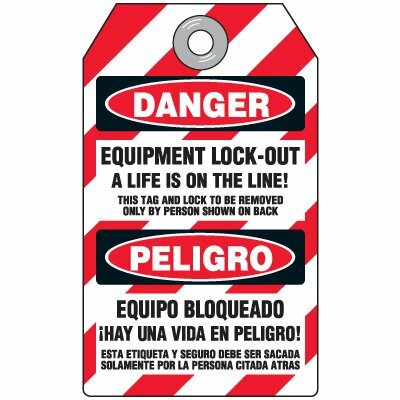 Show not to operate equipment if locked out. 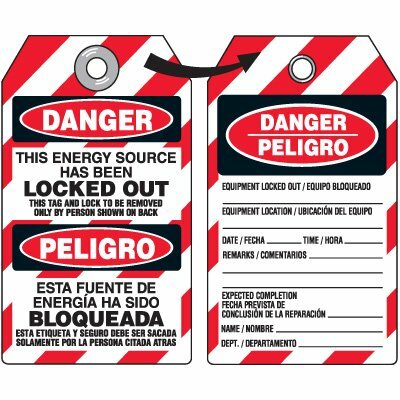 Danger tag in English and Spanish format convey lockout safety messages. 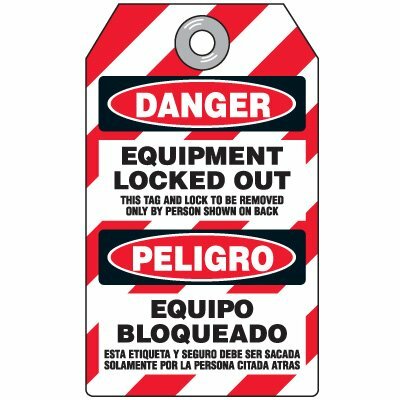 Bilingual equipent locked out tags show employees that equipment is locked.